In this week’s episode of Supergirl Radio, Morgan Glennon and and Rebecca Johnson discuss the Supergirl season four episode titled "All About Eve"! In this week’s episode of Supergirl Radio, Rebecca Johnson is joined by Anj of Comic Box Commentary to discuss the Supergirl season four episode titled "The House of L"! In this week’s episode of Supergirl Radio, Morgan Glennon and and Rebecca Johnson discuss the Supergirl season four episode titled "O Brother, Where Art Thou?"! In this week’s episode of Supergirl Radio, Morgan Glennon and and Rebecca Johnson discuss the Supergirl season four episode titled "Stand and Deliver"! In this week’s episode of Supergirl Radio, Morgan Glennon and Rebecca Johnson discuss the Supergirl season four episode titled "Menagerie"! In this week’s episode of Supergirl Radio, Morgan Glennon and Rebecca Johnson discuss the Supergirl season four episode titled "Blood Memory"! In this week’s episode of Supergirl Radio, Morgan Glennon and Rebecca Johnson discuss the Supergirl season four episode titled "Suspicious Minds"! In this week’s episode of Supergirl Radio, Morgan Glennon and Rebecca Johnson share some feedback from listeners who aim to help them understand the existence of aliens in National City and on Earth-38. In this week’s episode of Supergirl Radio, Morgan Glennon and Rebecca Johnson discuss the Supergirl season four episode titled "Bunker Hill"! In this week’s episode of Supergirl Radio, Morgan Glennon and Rebecca Johnson discuss the Supergirl season four episode titled "Rather the Fallen Angel"! In this week’s episode of Supergirl Radio, Rebecca Johnson is joined by Mike from The Caped Chronicles and DC Talk podcasts to discuss the Supergirl season four episode titled "Call to Action"! In this week’s episode of Supergirl Radio, Morgan Glennon and Rebecca Johnson discuss the Supergirl season four episode titled "Parasite Lost"! In this week’s episode of Supergirl Radio, Rebecca Johnson is joined by SpoilerTV's Donna Cromeans to discuss the Supergirl season four episode titled "Ahimsa"! In this week’s episode of Supergirl Radio, Morgan Glennon and Rebecca Johnson discuss the Supergirl season four episode titled "Man of Steel"! In this week’s episode of Supergirl Radio, Morgan Glennon and Rebecca Johnson discuss the Supergirl season four episode titled "Fallout"! In this week’s episode of Supergirl Radio, Morgan Glennon and Rebecca Johnson discuss the Supergirl season four premiere titled "American Alien"! In this episode of Supergirl Radio, Rebecca Johnson is joined by Wendy (AKA @kara_querl) to shine a spotlight on Brainiac 5! In this episode of Supergirl Radio, Morgan Glennon and Rebecca Johnson shine a spotlight on Guardian! On September 1, 2018, Rebecca Johnson served as a panelist at Dragon Con 2018 to discuss Season 3 of Supergirl! In this episode of Supergirl Radio Rebirth, your hosts Morgan Glennon and Rebecca Johnson discuss Supergirl #18! In this episode of Supergirl Radio Rebirth, your hosts Morgan Glennon and Rebecca Johnson discuss Supergirl #17! In this episode of Supergirl Radio Rebirth, your hosts Morgan Glennon and Rebecca Johnson discuss Supergirl #15! In this week’s episode of Supergirl Radio, Morgan Glennon and Rebecca Johnson discuss the Supergirl season three episode titled "Make It Reign"! In this week’s episode of Supergirl Radio, Morgan Glennon and Rebecca Johnson discuss the Supergirl season three episode titled "Not Kansas"! In this week’s episode of Supergirl Radio, Morgan Glennon and Rebecca Johnson discuss the Supergirl season three episode titled "The Fanatical"! In this week’s episode of Supergirl Radio, Morgan Glennon and Rebecca Johnson discuss the Supergirl season three episode titled "Shelter from the Storm"! In this week’s episode of Supergirl Radio, Morgan Glennon and Rebecca Johnson discuss the Supergirl season three episode titled "Trinity"! In this week’s episode of Supergirl Radio, Morgan Glennon and Rebecca Johnson discuss the Supergirl season three episode titled "Of Two Minds"! In this week’s episode of Supergirl Radio, Rebecca Johnson is joined by Alessandro Maniscalco of JLU Podcast to discuss the Supergirl season three episode titled "In Search of Lost Time"! In this week’s episode of Supergirl Radio, Morgan Glennon and Rebecca Johnson discuss the Supergirl season three episode titled "Schott Through the Heart"! In this episode of Supergirl Radio Rebirth, your hosts Morgan Glennon and Rebecca Johnson discuss Supergirl #14! In this episode of Supergirl Radio, Rebecca Johnson is joined by Teddie from All Geeks Aside to shine a spotlight on Saturn Girl! In this week’s episode of Supergirl Radio, Morgan Glennon and Rebecca Johnson discuss the Supergirl season three episode titled "For Good"! Join in on the fun as the gang at Supergirl Radio covers The CW’s Supergirl! In this week’s episode of Supergirl Radio, Rebecca Johnson chats with author, Jo Whittemore, about her new book, Supergirl: Age of Atlantis! In this week’s episode of Supergirl Radio, Morgan Glennon and Rebecca Johnson discuss the Supergirl season three episode titled "Reign"! Join in on the fun as the gang at Supergirl Radio covers The CW’s Supergirl! In this week’s episode of Supergirl Radio, Morgan Glennon and Rebecca Johnson discuss the Supergirl season three episode titled "Wake Up"! Join in on the fun as the gang at Supergirl Radio covers The CW’s Supergirl! In this week’s episode of Supergirl Radio, Morgan Glennon and Rebecca Johnson discuss the Supergirl season three episode titled "Damage"! Join in on the fun as the gang at Supergirl Radio covers The CW’s Supergirl! In this episode of Supergirl Radio, Morgan Glennon and Rebecca Johnson are joined by Jon M. Wilson to shine a spotlight on Reign! In this episode of Supergirl Radio, Morgan Glennon and Rebecca Johnson shine a spotlight on Psi! In this episode of Supergirl Radio, Morgan Glennon and Rebecca Johnson are joined by Bill Meeks of Legends of Gotham to shine a spotlight on Morgan Edge! In this episode of Supergirl Radio, your hosts Carly Lane, Morgan Glennon, and Rebecca Johnson wrap up their Kelly Rewatch by revisiting the Season 1 episode titled, "Myriad". Cue up the episode and watch it with them! In this episode of Supergirl Radio, your hosts Carly Lane and Rebecca Johnson continue their Kelly Rewatch by revisiting the Season 1 episode titled, "Bizarro". Cue up the episode and watch it with them! In this episode of Supergirl Radio, Carly Lane, Morgan Glennon, and Rebecca Johnson are joined by KryptonSite.com reviewer, Louis Rabinowitz, to take a look back at Supergirl Season 2! In this episode of Supergirl Radio Rebirth, your hosts Carly Lane, Morgan Glennon, and Rebecca Johnson discuss Supergirl #5. In this episode of Supergirl Radio Rebirth, your hosts Carly Lane and Rebecca Johnson discuss Supergirl #4. Supergirl Radio Season 2 – Episode 8.5: Invasion! In this episode of Supergirl Radio, you'll hear the full panel Rebecca Johnson participated in at Dragon Con 2016. Rebecca Johnson draws names out of a Superman hat to award prizes to those who donated to the Christopher & Dana Reeve Foundation! Watch Rebecca draw the winners on the DC TV Podcasts' YouTube channel. In this episode of Supergirl Radio, Carly Lane, Morgan Glennon, and Rebecca Johnson discuss Supergirl Season 1 on Media Madness with Kat and Jay! Supergirl Radio Season 1 - Episode 5: How Does She Do It? Supergirl Radio - Season 0: Character Spotlight - Hank Henshaw and the D.E.O. Supergirl Radio - Season 0: "Legacy"
Supergirl Radio - Season 0: "Unity"
Find out who won the awesome giveaway prizes in our DC TV Podcasts Cancer Research Fundraiser Raffle! Thanks again to all who donated to the Winship Cancer Institute! 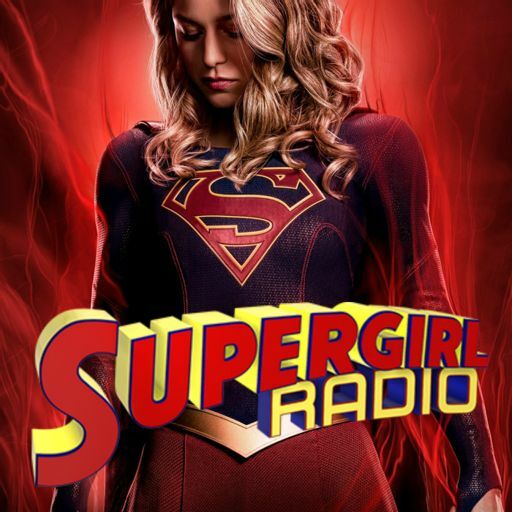 Supergirl Radio - Season 0: "Girl's Night Out"
Supergirl Radio - Season 0: "Superman Unbound"
Supergirl Radio - Season 0: "Little Girl Lost"
Supergirl Radio - Season 0: "Supergirl: The Movie"